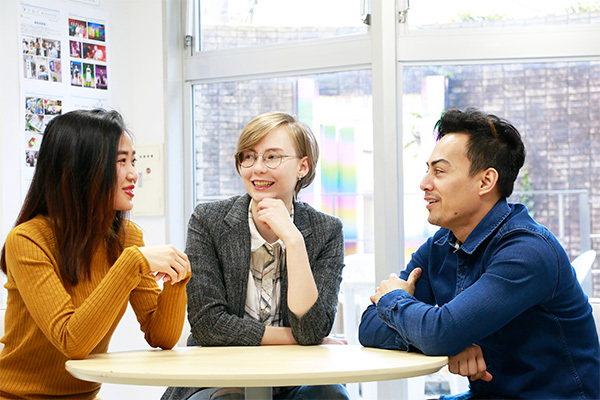 This course is designed to help students pursue their careers in Japan by improving their Japanese language skills as well as an understanding of the Japanese culture and society. In addition to the Japanese language and culture, we also provide training to help students acquire fundamental competencies for working persons, which are essential in working for Japanese companies. You can obtain a diploma upon graduation from the course to pursue your career in Japan. You can learn not only practical Japanese language but also a wide range of skills, such as translation, interpretation, bookkeeping, trading and computer skills. While the job requires comprehensive judgment skills and comes with great responsibility, you have opportunities to become an executive. You can sell a variety of products and services. You can work as a translator and/or interpreter using both Japanese and your native languages. You can develop a variety of programs and software. The classroom that creates active communication! Students are from all over the world. You can learn communication skills naturally in the multinational environment. 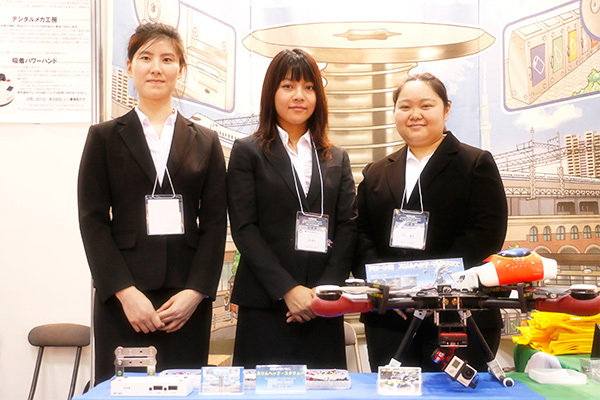 Our graduates are successfully pursuing their careers at Japanese companies! They mainly work in Kanagawa and Tokyo in a variety of fields, including travel, real estate, retail, and IT industries. We will help you obtain job offers and a visa! You can receive employment support at our Career Support Center. At our International Center, you can receive support in obtaining a work visa. You can learn skills to speak, listen and think in Japanese through our classes using newspapers (“Newspaper in Education”) and business Japanese classes. All students learn basic skills about Word, Excel, and PowerPoint. You can also learn programming and web skills, which are helpful in finding employment. The trading and distribution industries are looking for work-ready graduates. We provide practical lectures and computer workshops. A number of our graduates have passed the Proficiency Test in Trading Business. You can learn bookkeeping, which will give an advantage in job hunting. Through classes with easy-to-understand lectures and visual presentations, you can learn the subject and strive to pass the Bookkeeping Examination. If you have passed N2 or above at JLPT, you will take classes on translation and interpretation between Japanese and your native languages. Professional teachers in each language provide practical skills training. We provide training on practical skills you will need once you start working, including communication, such as working on the phone with people within and outside the company and formal expressions, as well as business etiquette. A number of IT companies are looking for talented people. You can take classes on web skills and programming to pursue your career in this field.